In St Mary’s, over the last 750 years or so, countless couples have been united through the Christian marriage ceremony in the beautiful surroundings of our church. We like to imagine that something of their love and expectation has, over the centuries, sunk into our ancient walls. We therefore look forward to making every prospective bride and groom feel really welcome. We will try to answer all their questions and help them with everything that has to be arranged so that they may eventually be declared, before their families, friends, and God, to be husband and wife. Here is some preliminary information. A marriage service, wherever it is held, is a public declaration of love and commitment to your partner. If you decide to get married in church, you will be asked to promise before God, your friends and your families, that you will love, comfort, honour and protect your partner and be faithful to him, or her, as long as you both shall live. The minister conducting the service will also ask everyone present to declare that they will support and uphold your marriage. Who can get married in St Mary’s? Regulations came into force in 2008 called “The Church of England Marriage Measure 2008″. This does not affect the existing rights of parishioners to be married in their local church, but extends the entitlement to other people who might not qualify under the existing rules. If one, or both of them, are resident in the parish of St Mary’s Church, Shenfield. If one, or both of them, is entered on the church electoral roll of St Mary’s Church, Shenfield. 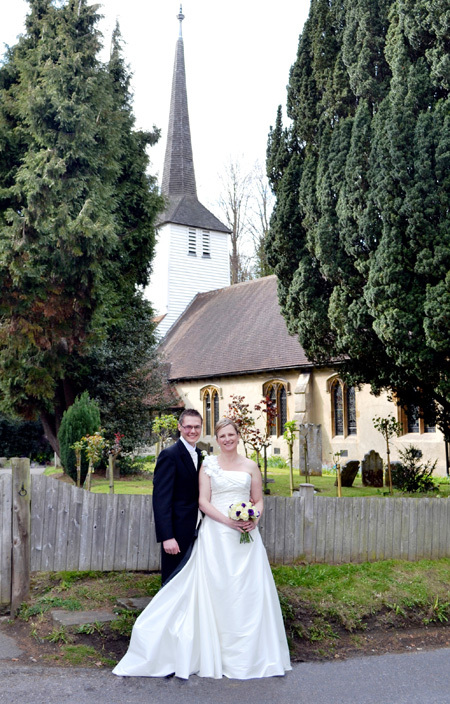 If you wish to apply to marry in St Mary’s, please contact Laura Bazzoni, the Administrative Assistant to the Rector, parishadmin@stmaryschurch-shenfield.org.uk, 07464 202917. When you meet the Rector, he will be able to discuss all aspects of the Christian marriage service itself. We look forward to helping to make your wedding at St Mary’s as happy and meaningful as we can.